Industrial. Chic. Romantic. Modern. Music to my ears. 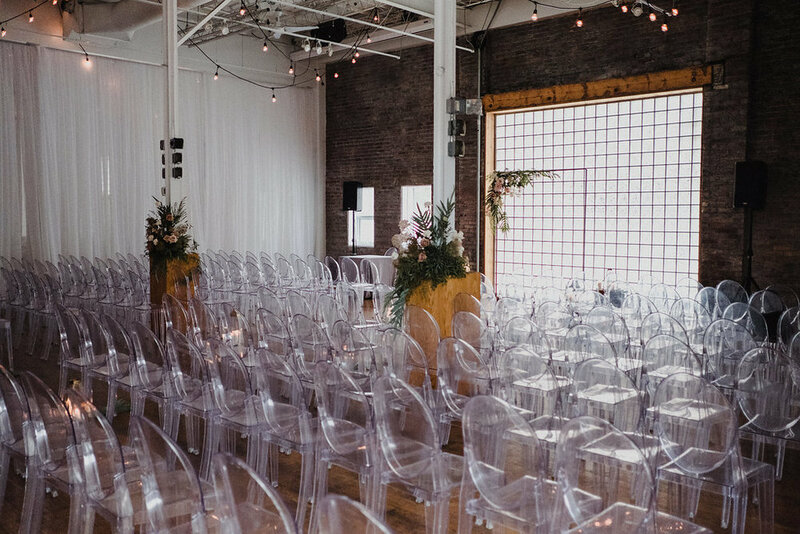 When Christine, Adam and I began planning their wedding, it was clear they wanted a sleek space, romantic flowers, but still a totally relaxed vibe. They didn't want to get caught up in making their decor and wedding fussy. 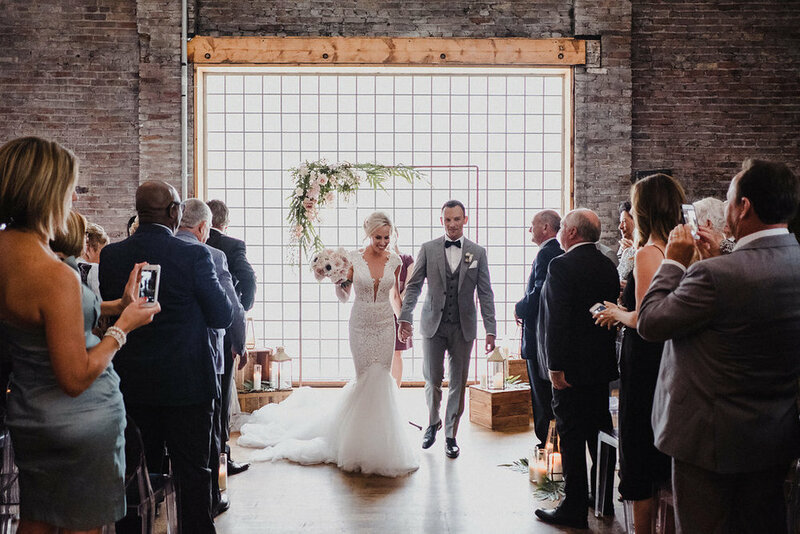 99 Subdury was the perfect location for their celebration; it offered an industrial modern space and the room to accommodate their slightly larger guest count. 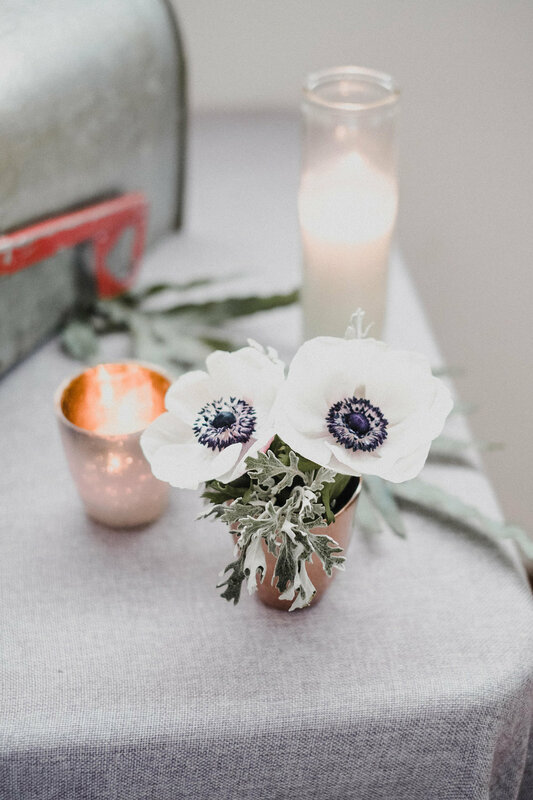 I am still swooning over the simple but stunning colour palette of this wedding (remember I am a minimalist at heart who loves more neutrals tones). 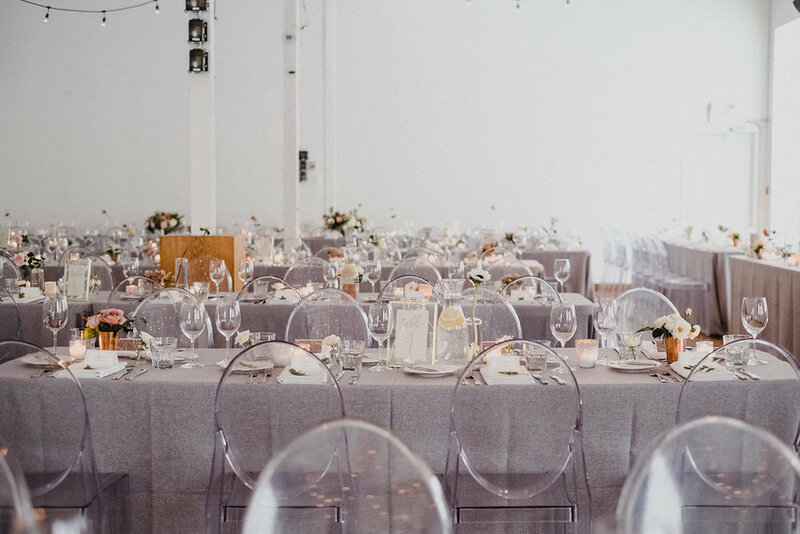 The soft grey linens and ghost chairs seriously made the room. 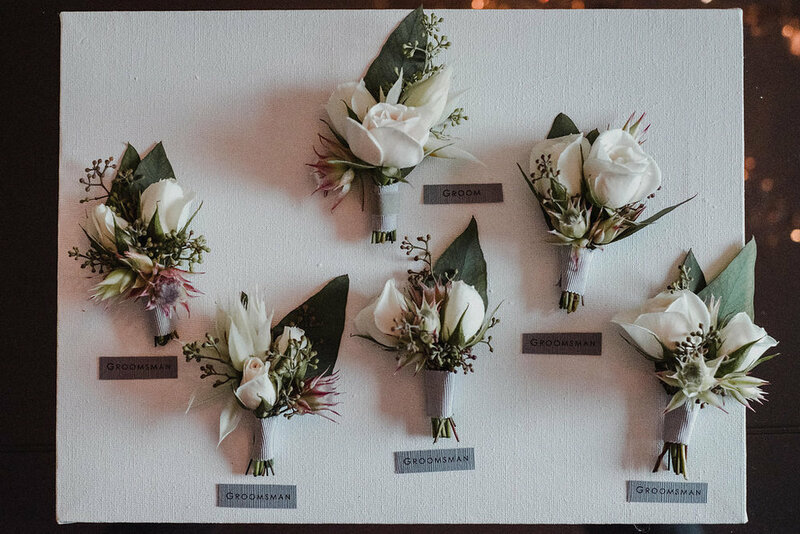 Lisa and the team from Sweet Woodruff outdid themselves when it came to the florals. 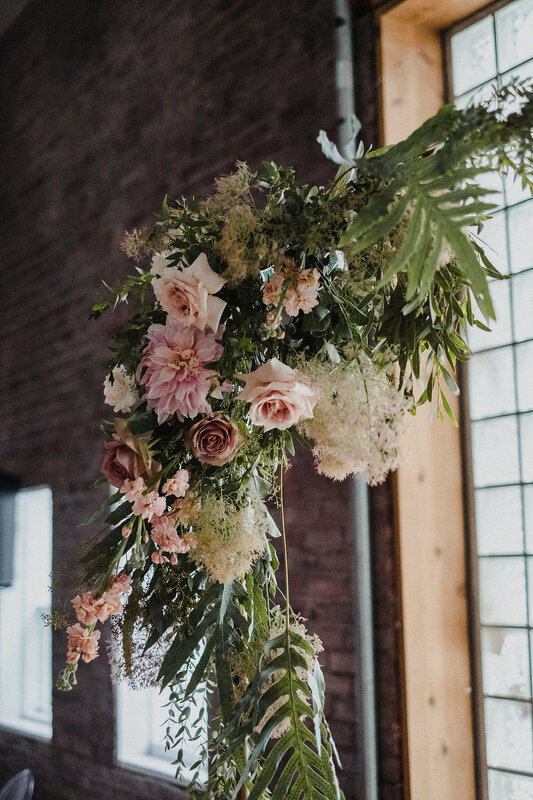 The soft blush, champagne and cream florals kept in the line with the chic modern vibe while the copper vessels and votives brought in a bit of the industrial feel. Pop in a bit of string lighting and bam, the space was transformed. 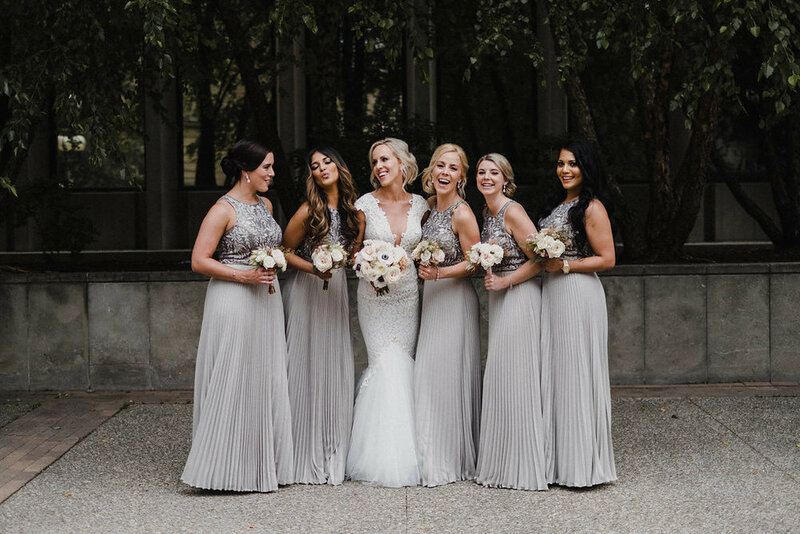 Christine and Adam were such a dream to work with and I am so darn happy for them to start this new chapter in their lives together. Cheers to the happy newlyweds!